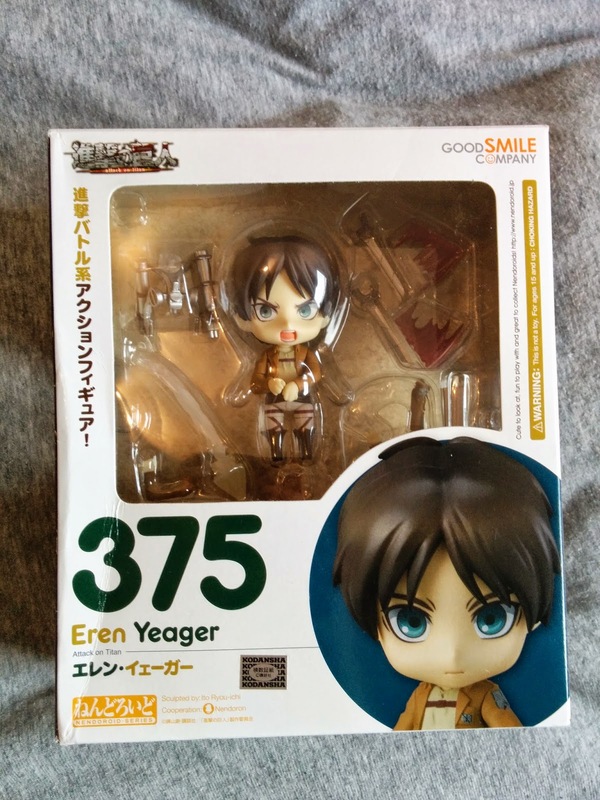 I picked up this little Eren recently while at London Comic Con from the Good Smile Company. He cost £35 which I thought was pretty decent, I had seen him on numerous sites for pre-order months back for a lot more (plus shipping and customs fees on top would of meant he'd cost loads!) 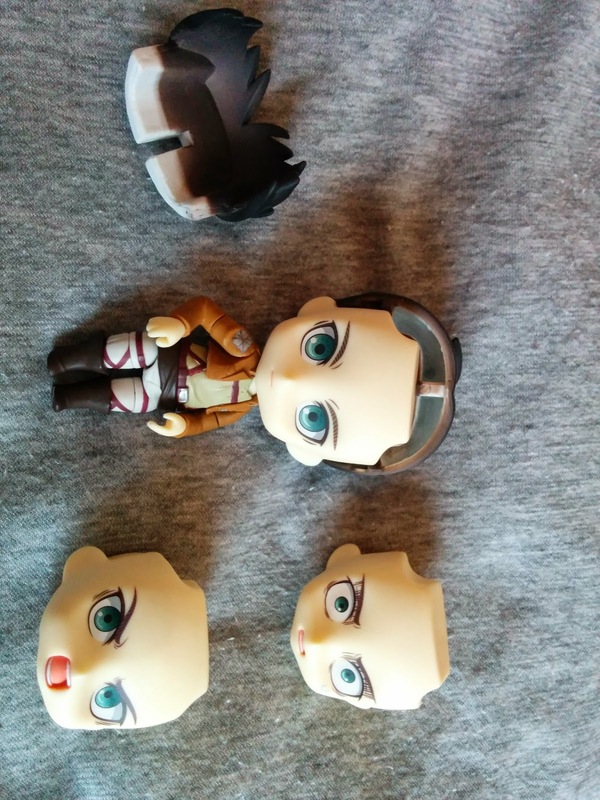 So I didn't order him. I'd told myself a few years ago that I wasn't allowed to buy anymore figurines (I only own a couple) but they take up so much room and are addictive to buy! I evidently broke this rule when I walked past the Good Smile Company cabinet of figures on Friday of Expo and was instantly taken with him. 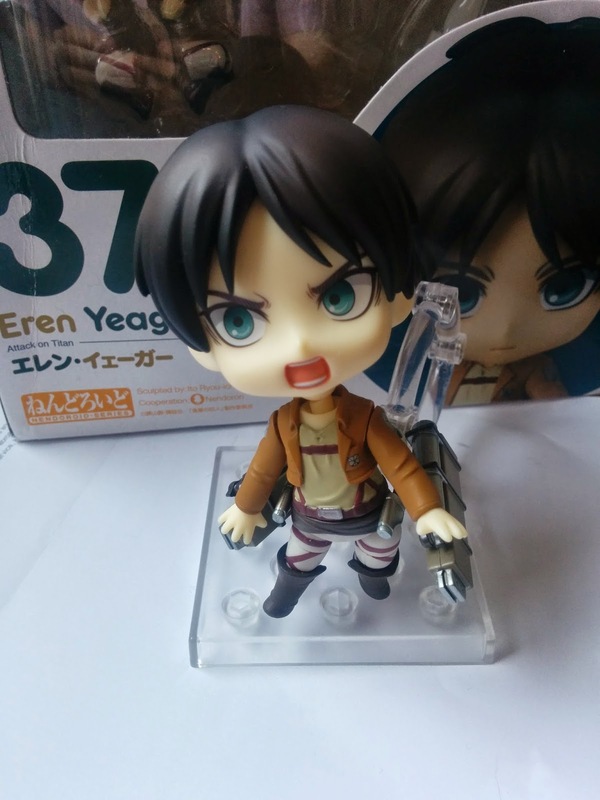 Figma Eren up which I also liked the look of (although he wasn't available yet for second release I believe?) 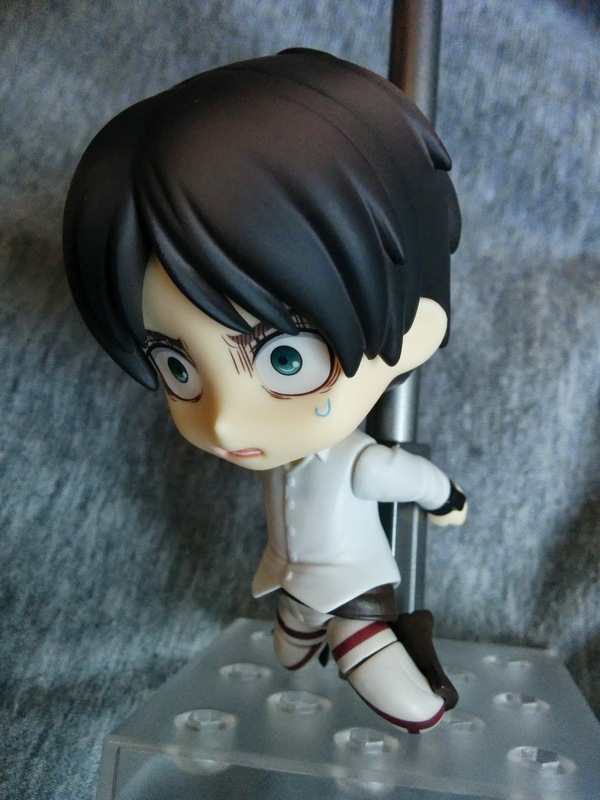 So I stood around pondering if I should wait for that Eren instead or perhaps save more money to buy a Levi figure I'd been spying for ages. 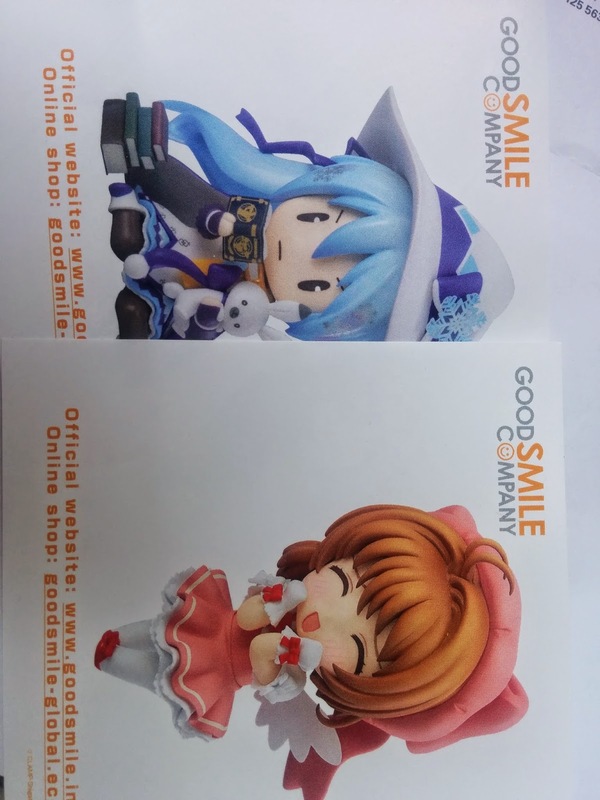 I went quickly from 'No more figurines' to 'maybe I'll get all of them' very quickly orz. 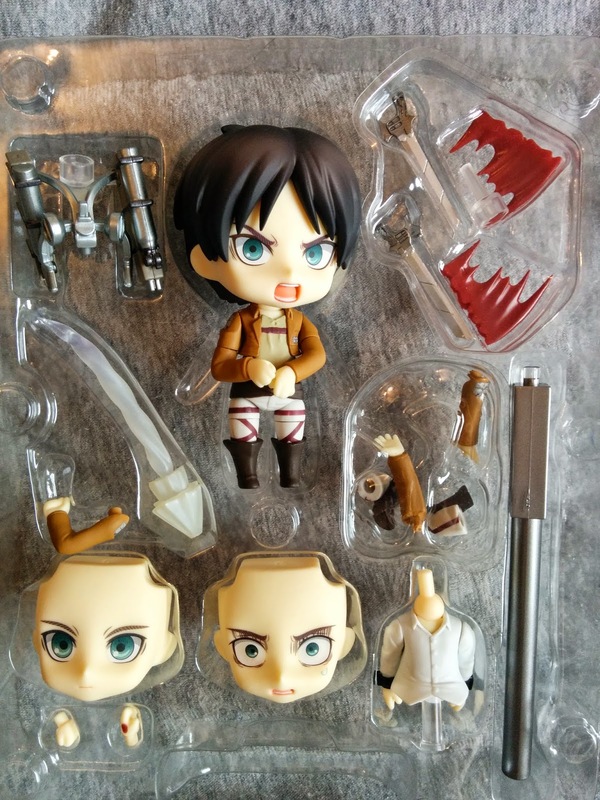 As you can see he comes with lots of little accessories and changeable heads (I always have him wearing the shouty face as it seems most Eren like). 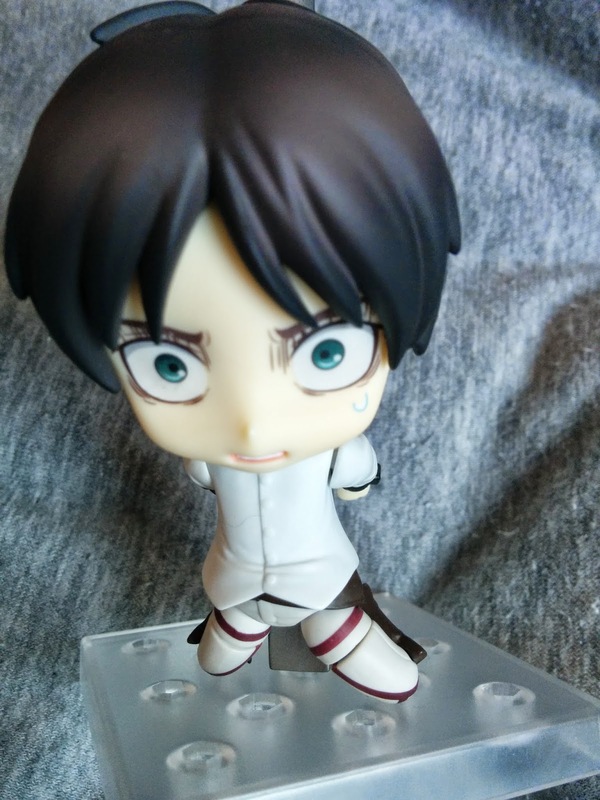 He also has a stand so I can sit him on my desk and a background clip so you can put a background behind him. He's really easy to assemble and put together, the only thing I struggled with is fixing him to the stand in a way that he actually stays up right as he's pretty top heavy. 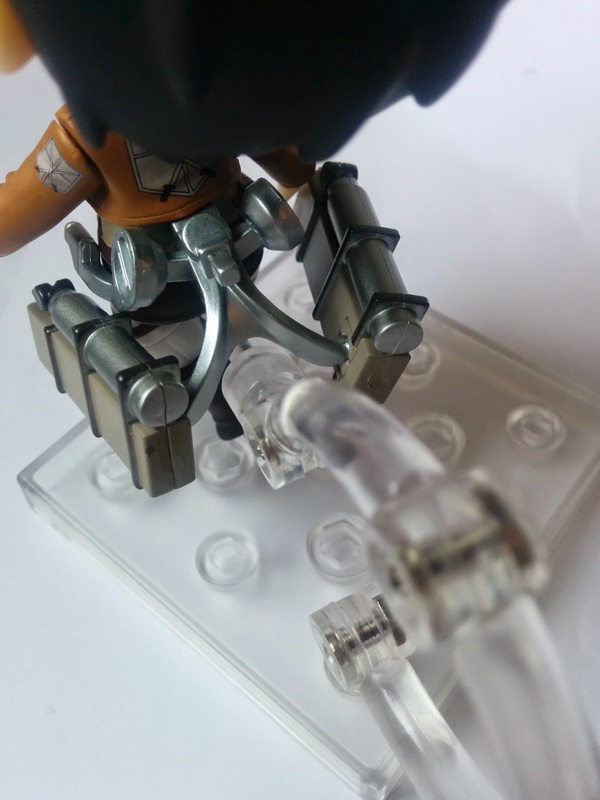 The details in the figure are amazing, he even has a little bite mark on his hand which I thought was so cute in a weird way haha. The only part I'm not keen on is the steam bits that come off his gear to make it look as if he's actually flying through the air, I think they just look a bit odd on him! He has several different arm attachments to chose from and 3 face options. You can also change his body so he appears as he does in the court scene. Overall I'm really happy with him, he currently sits on my desk (occasionally falling on his face) I'm afraid to say I'd likely to buy more of these, its a slippery slope into collecting...perhaps soon I will have a cabinet of them! 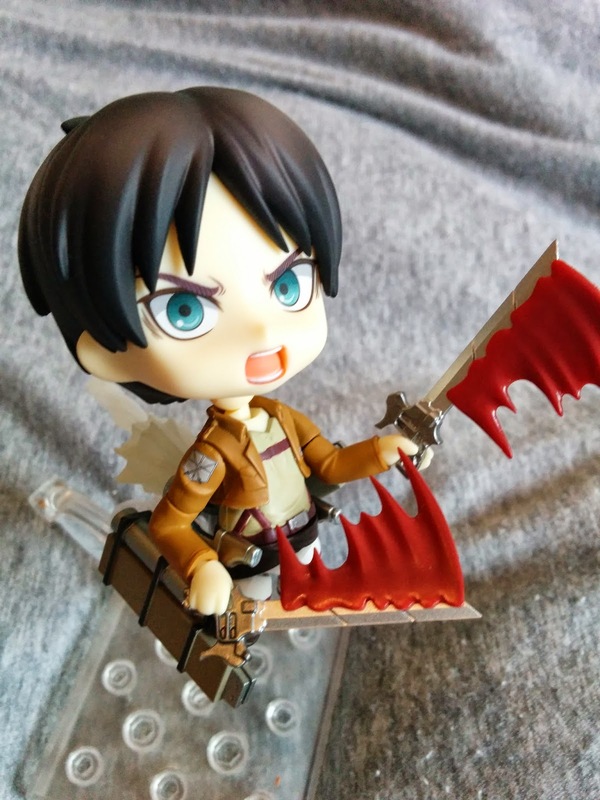 Here he is about to be eaten by a titan, eep!